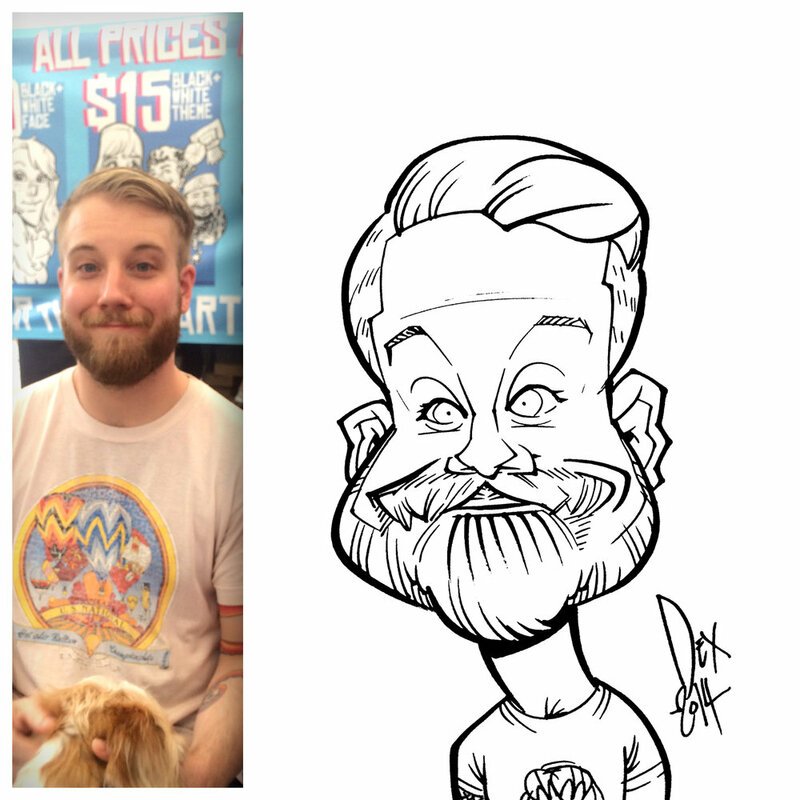 Dex has been providing the classic art of Caricatures at parties for almost two decades. He can draw guest super cute or extremely funny (all of it depends on the guest's preference). His goal is to please the crowd, and make sure everyone has an opportunity for this unique experience. The entire time he's drawing, he's cracking jokes and making sure people are relaxed and entertained. He was voted the third fastest Caricature artist in the world in 2015 by The International Society of Caricature Artist. 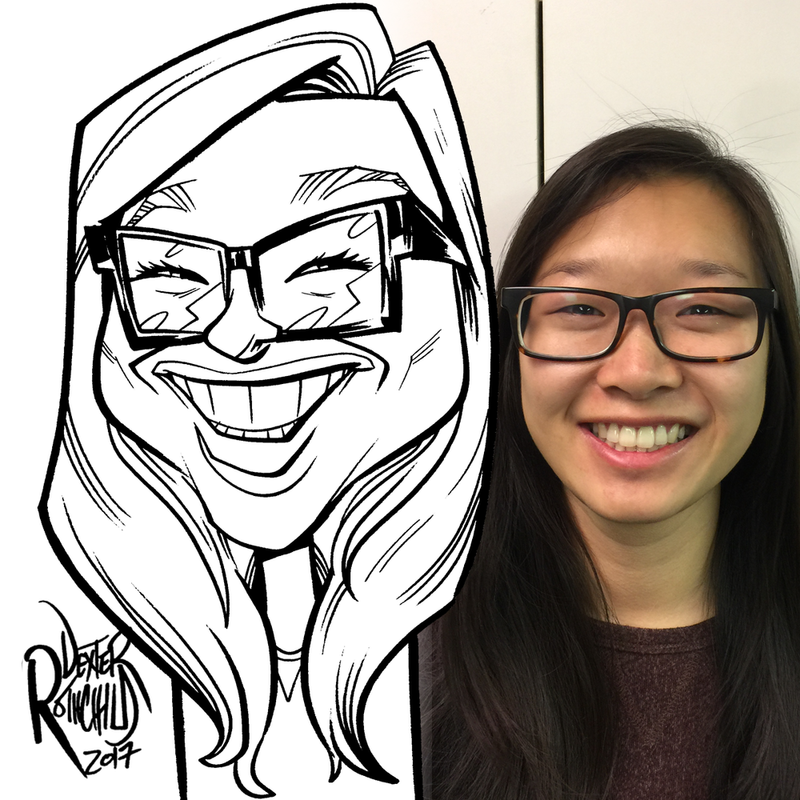 Guest get a 11x14 sized paper with their caricature on it. Client provides 2 chairs, protection from the elements of weather, and sufficient light to see. If you want to reserve this service please fill out this form or if you have any questions you can call him or fill out the form below.